This device is a low cost conversion tool that is ideal for either experimenting with SPI/I2C devices or using these devices via a USB port. It is easy to use and its unique text i/o is intuitive and simple.. It works with both SPI and I2C so it is really two tools in one. In addition it will work with and power 3V3 & 5V logic devices. There is a foundation user guide with projects that can be used for learning about either of these buses. Resources. The BV4221 USB to I2C is simply a COM port device. When the FTDI drivers are installed it works as a virtual com port and so driving with software is a matter of sending and receiving commands from the COM port. The zip file contains some examples written in VB. The BV4222 introduced in January 2016 is fully firmware compatible with the BV4221_V2 and so any reference to software in this text to BV4221_V2 will also apply to the BV4222. A new PCB introduced in November 2016 (version_b) has a different USB connector and the USB to serial is provided by the CH340 chip rather then the CP2102. There are some minor differences. The BV4221_V2 is user, firmware upgradeable via a boot loader, the BV4222 is not. Version 2 of the BV4221 was released at the back end of 2010, the new version has on board 3.3V and 5V regulators, can find I2C addresses and also has SPI capability. A very good way of using this device is a programmed way, i.e.for controlling I2C from windows is to use Python. This language is more popular on Linux boxes but does have the massive advantage that any work done with Windows can also be directly transferred to Linus without modification. The minor inconvenience for Windows user's is that it has to be installed. The python release used is 2.7.5 do not get the latest version 3. This can be obtained from here and comes with an installer which is great. The best way to use Python is from the command line so you will need to open a command window. Navigate to the directory to work in using cd and type python, you will get the >>> Python prompt if everything is okay. If not log in and then log out again to apply the path. This will also need to be installed but is is self contained exe and so all that is needed is to download and double click it. Python MUST be installed before this. See this page, look for bv4221_i2c.py for some example code. Note that the output bytes are in a list and so that is why the  are there. How do I read 16 bytes from an 24c128 EEPROM at its address 1E75? The above sends 1E75 to the EEPROM, the 'r' sends the restart command and g-2 will read two bytes form the address. When entering data such as s 2 0x55 p the results are not as expected? On the BV4221-V2 I enter 'f' to discover the I2C devices on the bus but get an error? Once Python is installed, to run the program simply unzip the above to a folder and double click on the Spi.py file. The zip file contains all of the source code. This article will describe how to implement this free software to read and write to serial EEPROMS using Python and a BV4221. The software can be used for Windows and Linux and is open source so any new EEPROMS can be created on the fly. It was written using Boa Constructor which is a graphical IDE much like Visual Basic and all of the other IDE's but this one is for Python and the Python GUI. The operating system used to write the software was Windows and so Python and wxPython was required. The user has the opportunity to change the way it works, or even use it as the basis of something else. In this case it is necessary to have a modifiable platform as there are so many different types of EEPROM. This is a screen shot of the window produced. The BV4221 us a USB device that presents itself as a COM port, this will be COMnn on Windows and omething like dev/ttyAMA0 on Linux. Commands to the BV4221 are very simple text strings that are easily interpreted. It can handle both SPI and I2C so is very versatile. 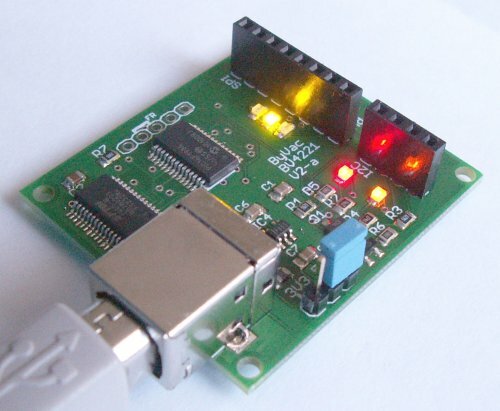 This is a class that connects the bV4221 to the serial device and has some very basic methods for connecting and setting the mode (SPI or I2C). A user should not need to modify this unless a bug is found. It provides a very convenient way of talkint to the BV4221 and thus the connected EEPROM. There isn't a file with the name above but a few different files with the same names as the EEPROM, AT93c46_8.py for example. These are classes that enable reading and writing to a specific type of EEPROM, to add a new EEPROM simply copy one of the classes and modify it. The AT93c46 is an SPI device and the M24c0nn are I2C devices and so both bases are covered in respect of examples. This is the GUI application that Boa created (originally called App1.py) and clicking on this in the correct environment (with the python GUI installed and on the path) will launch the applciation. This is partly created by Boa and will need slight modification when adding a new EEPROM but the beauty of it is that really only a class needs to be added for it to work. One of the main reasons for using Python is so that a user could potentially add a new EEPROM no matter how that EERPOM worked as the 'programmability' of the device is in the class itself and not in the main GUI. The upshot of this is only the new class needs creating and then adding to the GUI. The dictionary consists of two parts, the first is the name that is presented to the user in the devices drop down combo box and the second part is the file name and class name. The convention i used was to give the file name an upper case starting letter(s0 and the class name lower case. Simply copy and existing statement and modify the contents. I do not have any detailed instructions for this as it is already installed on my Windows system and it was done too long ago for me to rememberer the steps, I will update this if the situation changes but I think that the only action that is needed is to install wxPython as this will also probably install Python. The site given has the windows binaries. It is already installed as part of Linux so there should not be a problem there.